The purpose of this blog is to run an eye over charities on the New Zealand charities register to find insights that will help charities, donors, beneficiaries and others with an interest in the sector. Now that the Australian regulator is also publicising its data, wherever possible I will highlight where the countries differ and where they are the same. If you think the information on this blog is useful, please click on the advertisements on this webpage (at the right) before you leave. If you really like the blog you can click multiple times! Every click – which earns me about 14 cents - helps pay for the late night coffees I went through writing it and is much appreciated J . You can also check out the CharityWatchNZ contents page if you want quick access to all my charity blog topics. The amount we donate to charities is a hot topic that is constantly in the media. A few weeks ago the National Australia Bank released its Charitable Giving Index which showed the average Australian donates $346 a year to charity. That was followed by the release of a World Giving Index which found that New Zealanders are donating even more money, ranking NZ as the world’s third most generous country behind Myanmar and the US (Canada was fourth and Australia fifth). According to the NZ charity register, NZ’s registered charities receive about $1.2b each year in donations. The purpose of this paper is to look behind the figures to find out which charities actually receive that income, highlight any donation trends and draw out new insights from the charity data. Donation analysis would not be complete without considering donation tax credits. We know that 365,500 individuals made a donation tax credit claim in the year ending March 2013, so the paper also looks at which charities have IRD approved donee status. Of course, whether a charity has donee status or not may not always be a deal breaker for donors. 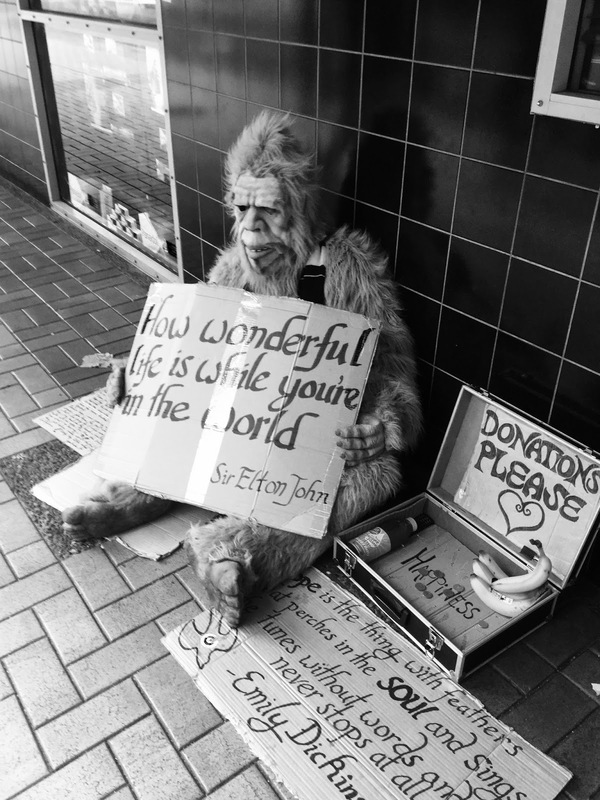 I took these two photos of people soliciting donations in Wellington last week – you can claim a donation tax credit for helping the Salvation Army but not the monkey. If the monkey could generate a tax credit for you, would it influence your donation decision? 1. Charities that receive, or expect to receive, donation income: 56% (13,993) of total registered charities recorded donation income in their most recent return, amounting to $1.35b. 25% (6,194) of total registered charities did not record donation income in their most recent return, but told the regulator they expect to receive donation income in the future. Combining these two groups, there are 80% (20,187) of total registered charities that either receive, or expect to receive, donation income. 2. Donation income as a proportion of total charity income: Based on the most recent returns filed by charities, donation income makes up only 7% of total gross income in the sector (ie $1.35b / $18.25b). 3. 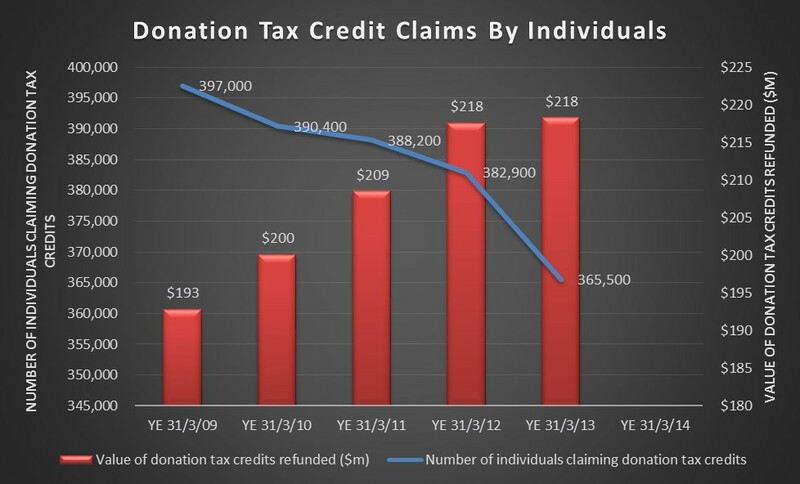 Donation tax credit claims: For the 2012/2013 financial year, 365,500 individuals told the Inland Revenue Department (IRD) they made donations of $655m and as a result they claimed donation tax credit refunds totalling $218.3m. 4. Donation tax credit trends: The number of individuals making donation tax credit claims is steadily reducing, however the total value of tax credits claimed is steadily increasing. 5. Charity donation income trends: Over the last five years, registered charities have received donation income that fluctuated between $1.0-$1.3 billion per annum. This means there is potentially $600m in donations each year which are not currently subject to donation tax credit claims. 6. Donations by sector: Charities that conduct religious activities are dominant, both in terms of the number of charities that receive donations (23% of charities that receive donations are religious) and the value of donations actually received (45% of all donations go to religious charities). Two sectors – arts/culture/heritage and sports/recreation - have a high proportion of charities that obtain donations compared to the amount of donations they actually received. Surprisingly, environmental charities rank low against charities operating in other sectors - only 3% of charities that receive donations are environmental charities and they only attract 1% of donation income. 7. Top 10 donation recipients: The 10 charities that recorded the most donation income in their last return were World Vision, the Church of Latter-Day Saints, the National Assistance Fund, St John Ambulance, The Salvation Army, the Roman Catholic Diocese of Auckland, the Association of Jehovah’s Witnesses, The Red Cross, The Life Church, and Auckland University. All of these charities have approved IRD donee status. 8. Charities heavily reliant on donation income: Out of the 13,993 charities that reported donation income in their most recent return, 34% (4,746) were heavily reliant on donations as a source of income, ie their donation income exceeded half of their total gross income. As the value of donations increases, so too does a charity’s reliance on donations. At the small end, of the 917 charities that received donations between $1 and $100, only 5% of these charities were so small that donations were their main source of income. At the top end, out of the 1,562 charities that reported receiving donation income between $100,000 and $1m, 74% of these charities were heavily reliant on donations as their main source of income. 9. Donee status: My estimate is that 70-80% of charities with donation income have approved IRD donee status. Those that do not have donee status either do not require it (for example because their only donation income is from trusts or non-cash donations); they are not entitled to donee status because they operate wholly or mainly overseas; they did not need to be on the donee list because they automatically qualified (eg they were state / integrated schools or their boards of trustees, and tertiary education institutions) or they mistakenly believe they have donee status (and may in fact be entitled to it) but did not indicate to the charity regulator that donations would be a source of revenue and therefore IRD approval was never triggered. 10. NZ vs Australia: There are a number of similarities and differences between NZ and Australia in terms of donation tax incentives. 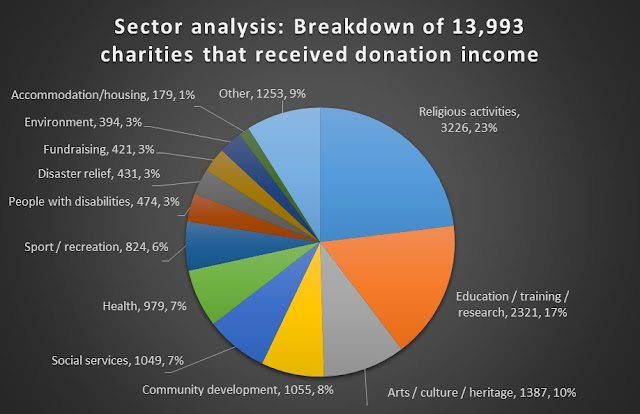 Perhaps the most striking difference is that NZ allows donation tax credits for donations to religious charities (and, as stated above, 45% of total donation income goes to these charities) however in Australia donations to religious charities are not deductible. If an organisation is a “donee organisation” then cash donations made to it by individuals will qualify for 33 and 1/3% donation tax credits and cash donations made to it by certain companies and Maori authorities will qualify for an income tax deduction. Donee organisations must either be organisations described in section LD 3(2) or listed in Schedule 32 of the Income Tax Act 2007. Section LD 3(2) refers to a society, institution, association, organisation, trust or fund that is not carried on for the private pecuniary profit of an individual, and whose funds are applied wholly or mainly to charitable, benevolent, philanthropic, or cultural purposes within New Zealand. There are 24,883 such organisations recorded on Inland Revenue’s list of approved donee organisations at the time of writing this paper (27,919 organisations that received approval, less 3,036 which subsequently had their donee status ‘ceased’). Section LD 3(2) also refers to payments to certain community housing entities, state and state integrated schools or their boards of trustees, and tertiary education institutions not carried on for the private pecuniary profit of any individual. These organisations do not have to be recorded on Inland Revenue’s approved donee organisations list. A key point to note is that none of the donee organisations have to be registered charities to qualify for donee status. A well known example is Greenpeace of NZ Inc, which currently holds IRD donee status even though it is not a registered charity. Conversely, even if an organisation is a registered charity, it will still not qualify for donee status if funds are not applied wholly or mainly within NZ (unless it is listed on Schedule 32). Schedule 32 lists organisations that have Government approval for charitable donee status for their overseas activities. These organisations must meet certain criteria, outlined in Inland Revenue guidelines. Organisations are added to the list each year – there are 110 on the list at the time of writing this paper. To be eligible for a tax credit or deduction, a donation must be made to a donee organisation and be a cash gift of $5 or more. · Donation deductions for companies were extended to apply to close companies not listed on a recognised stock exchange. According to the most recent Inland Revenue statistics, 365,500 individuals made a donation tax credit claim in the year ending March 2013. They claimed credits to the value of $218.3 million which is 33.3% of $654.9 million in cash donations. 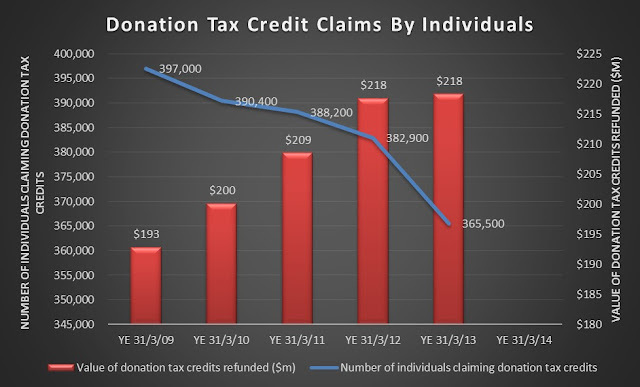 Curiously, the number of individuals making donation tax credit claims are steadily reducing, with a fall of 8% between 2009 and 2013. However, the total value of tax credits claimed are steadily increasing, with a rise of 13% between 2009 and 2013, as shown in Graph A. · Graph A does not include tax credits occurring through payroll giving, which are relatively minor (payroll giving donation tax credits were $1.1m in the year ending 31/3/12). · Inland Revenue will release donation tax credit data for the year ending 31/3/14 in December 2015. · Donation deductions claimed by companies and Māori authorities are not published by Inland Revenue. All registered charities must file an annual return with DIA Charities Services and disclose the total amount of “Donations / Koha” they received for that year. 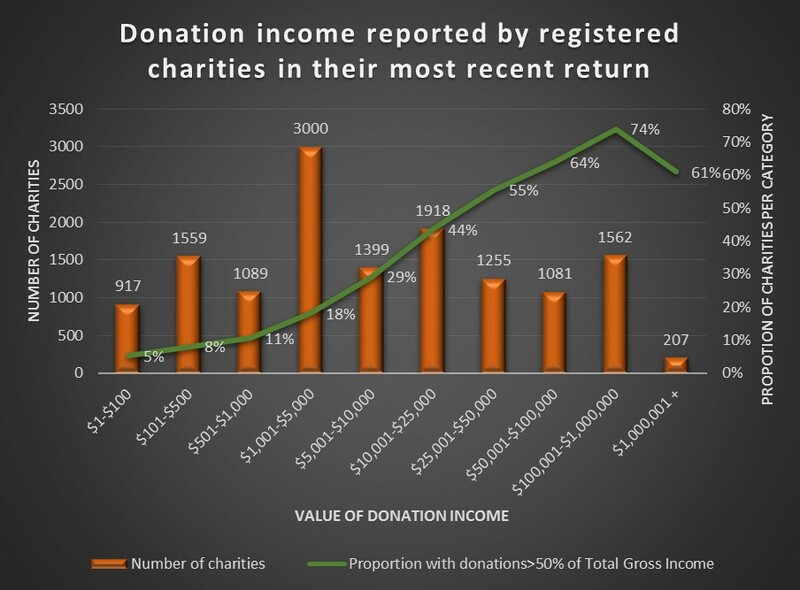 As shown in Graph B, the trend over the last four years has been fairly static, with aggregate donation income of between $1.2-$1.3 billion received by 12,500-13,000 registered charities. 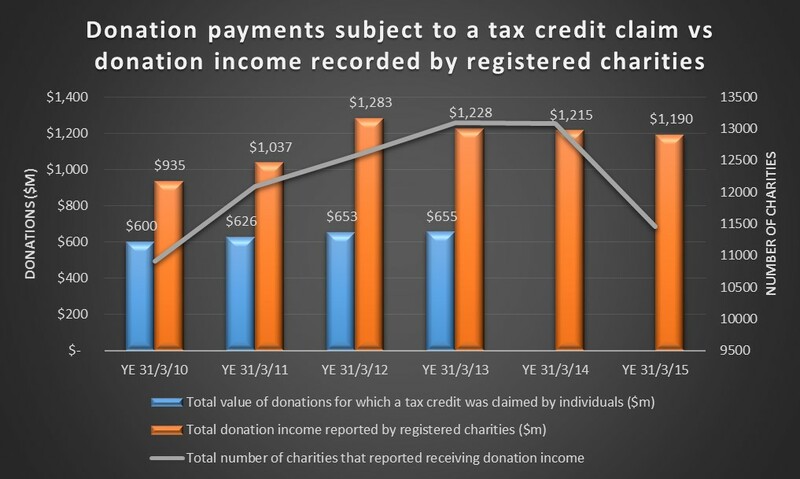 The donations subject to individual tax credit claims were only about half (52%) of total charity donation income in 2012 and 2013. This means there is potentially $600m in unclaimed donations each year which could generate $200m more in annual tax credit claims. 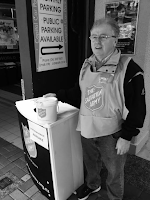 * Note that many charity returns for the year ending 31 March 2015 were due to be filed on 30 September 2015, so it is possible some are still overdue which could explain the drop in the number of charities disclosing donations/koha in YE 31/3/15. - The donation tax credits claimed on donations to schools and approved donee organisations that are not registered charities (such as Greenpeace NZ Inc). Once included, they will increase the tax claim gap. - The donation deductions claimed by companies and Māori authorities, which are not shown on Graph B. Once included, they will decrease the tax claim gap. - Donations that some charities have paid to other charities. Once included, they will decrease the tax claim gap. - Donation income recorded by charities that are not approved donee organisations. Once excluded, this will decrease the tax claim gap. · Charities that conduct religious activities are dominant, both in terms of the number of charities that receive donations (23%) and the value of donations actually received (45%). They are far ahead of charities operating in any other sector. · Two sectors – arts/culture/heritage and sports/recreation - have a high proportion of charities that obtain donations (10% and 6% respectively) compared to the amount of donations they actually received (3% and 1% respectively). · It is curious that environmental charities rank so low against charities operating in other sectors. Only 3% of charities that receive donations are environmental charities and they only attract 1% (14m) of total donation income, ranking behind sports/recreation and animal charities. The three largest recipients of donation income were Royal Forest and Bird Protection Society, World Wide Fund for Nature and Franklin Zoo. (Note the Greenpeace of NZ Inc is not a registered charity, however it does have IRD-approved donee status). · The last-ranked sector in terms of donations is the employment sector. A total of 15 charities indicated they operated primarily for employment and they raised donations totalling $335,393. 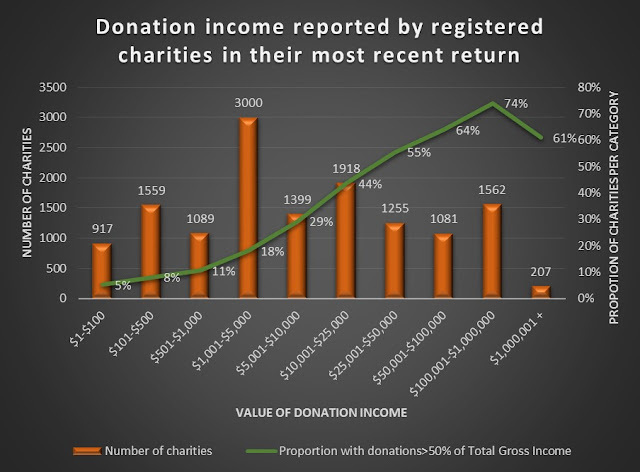 In addition to the 13,993 charities that filed a return and recorded donation income, a further 6,194 charities that filed returns (25% of total charities) told the charity regulator that donations would be one of their sources of funds at some point in the future, but did not record donation income in their most recent return. Assuming these charities do obtain donation income at some point, then a total of 20,187 or 80% of charities will have donations as a source of income. The top 10 charities, ranked by size of their donations, are shown in Table 1. Six of the top 10 are directly linked to churches, with the four remaining charities being World Vision, St John Ambulance, the Red Cross and the University of Auckland. Within the top 10, donations accounted for between 1% and 100% of their total gross income. All 10 have IRD-approved donee status. Out of the 13,993 charities that reported donation income in their most recent return, 34% (4,746) were heavily reliant on donations as a source of income, ie their donation income was over half of their total gross income. Graph E shows the size of donation income reported by the 13,993 charities in their most recent return. It also shows the relative proportion of charities that are heavily reliant on donation income. As you would expect, charities with only a small amount of donation income are not reliant on donations. For example, 917 charities reported receiving donation of $100 or less, and only 5% of these charities were reliant on donations as their main source of income. However, as the value of donations increases, so too does the reliance on donations. For example, 1,562 charities reported receiving donation income between $100,001 and $1m, and 74% of these charities were reliant on donations as their main source of income. · As explained in the charity regulator’s Form 1: Application for registration as a charitable entity (question 18), an organisation that wants donee status must indicate that “donations / koha” will be a source of funds in the future when it applies to be a charity. If it does not do this, IRD will not assess and approve donee status. However if this is overlooked in error, or circumstances change, a separate application can be made to IRD at a later date. · Question 20 in the charity regulator’s Form 1: Application for registration as a charitable entity asks “What percentage of NZ sourced funds did you spend carrying out charitable purposes overseas in the last financial year?” The annual return used to ask a similar question although it has now been removed, so the only annual indictor of overseas activity is the requirement to quantify “grants/donations paid outside NZ”. This information is used by IRD to assess whether the charity meets the donee status requirement of applying funds “wholly or mainly… within New Zealand”. Unfortunately the IRD Donee organisations database and the charity register are not linked, so it is not possible to confirm precisely how many of the 13,993 charities that reported donation income to the charity regulator are also one of the 24,883 organisations recorded on IRD’s list. The legal names for 49% (6,813) of the charities with donation income do match exactly, so the balance either do not have donee status or their legal names are recorded differently by IRD and the charity regulator. Many name mismatches could be manually reconciled, for example trusts, foundations and boards often had different legal names for IRD and the charity regulator. My estimate is that the number of donation charities with IRD donee status is much higher than 49% - probably in the ballpark of 70-80%. · It was not clear why they were not on IRD’s donee list but they appeared to be entitled to donee status and had told the charity regulator that donations would be a source of income. (See Middlemore Foundation for Health Innovation, which explicitly tells donors on their website that donations will qualify for a tax credit; HRL Morrison Foundation, which received a donation from a related limited liability company). · They were a college and by virtue of s.LD 3(2) of the Income Tax Act 2007 did not need to be on the donee list for donations to qualify for tax credits (Lindisfarne). · They had IRD donee status but it was ceased for no apparent reason (Christchurch Earthquake Appeal Trust had its donee status ceased on 31/03/14 which was unusual because it received donations for its year ending 30/06/14 and appears to still be active). The 2010 Productivity Commission Research Report ”Contribution of the Not-for-Profit Sector” referred to total Australian philanthropy for economically significant organisations in 2006-7 at $7.2b, of which donations from philanthropic trusts/foundations were $300m, donations from businesses/organisations were $600m and donations from individuals (including bequests) were $4.2b (p.72). At the time of writing this paper, the ACNC has not published any financial information datasets, so it is not possible to analyse the current donation income received by registered charities. In many ways Australia takes a similar tax incentive approach to NZ, with only some charities approved by the Australian Tax Office to receive tax deductible donations (called ‘Deductive Gift Recipients’ or DGRs). In the Australian Charities 2013 Report, released by the Australian Charities and Not-for-profits Commission and Curtin University in September 2014, it was stated that DGR was held by 29% of registered charities (10,938/38,341). The general categories of DGRs in Australia include public benevolent institutions (PBIs), public universities, public hospitals, approved research institutes, arts and cultural organisations, environmental organisations, school building funds and overseas aid funds. Table 3 highlights some of the similarities, and differences, between NZ and Australia’s approach to charitable donations and tax incentives. Information collected by the charity regulators: Donation information collected by the charity regulators is very similar. The NZ charity regulator’s annual return requires charities to disclose their donation/koha income and their bequest income separately. They must also disclose donations/grants they paid within NZ and donations/grants they paid outside NZ. The ACNC annual return requires charities to disclose their donation and bequest income (the two are not separated). They must also disclose grants/donations made in Australia and grants/donations made outside Australia. Scope of eligibility: The scope of organisations which can receive deductible gifts is narrower in Australia – there are approximately 40 specific categories listed on the ATO website. In Australia there is no DGR category for religious purposes other than for funds established to assist with providing instruction in government schools. NZ does not have specific categories and allows tax credits for donations to religious organisations. Tax concessions: Both countries offer tax concessions for donations to some charities as well as other not-for-profits. However, NZ’s system allows a 33 1/3rd tax credit on donations, whereas Australia offers a deduction where the tax benefit is determined by the donor’s marginal tax rate. Cash vs in-kind donations: NZ only allows tax credits for cash donations; Australia allows tax deductions for some in-kind donations at market value (such as property and shares). Role of tax administration: In both countries the tax office decides which charities qualify for donation tax incentives, not the charity regulator. However the Australian charity regulator does have more influence than the NZ regulator as it also approves subtypes, some of which are able to be DGRs. Planned giving: Australia offers planned giving vehicles, for example wealthy individuals often use Private Ancillary Funds. NZ does not have such vehicles. Lists approved by Parliament: Both countries also maintain separate lists or registers of organisations that qualify for donation tax incentives which are approved by amending legislation through Parliament. However NZ maintains just one such register (for organisations seeking charitable donee status for their overseas activities) whereas Australia has registers for Cultural Organisations, Environmental Organisations, Overseas Aid Gift Deduction Schemes and Harm Prevention Charities. Charity registration is a pre-requisite: In Australia some DGR categories require registration with the charity regulator (for example hospitals carried on by a society or association), however that is not the case in NZ. Payroll giving: Both countries offer payroll giving, where donations are distributed from pre-tax income and the donor receives the tax benefit immediately. Local operations: An ‘in Australia’ condition applies to all Australian DGRs, which means all organisations must be in Australia to be a DGR. Funds, institutions and authorities must be established and operated in Australia. Some funds require the purposes and beneficiaries to be in Australia, others, like the Overseas Aid Funds, do not. A NZ local application requirement also exists but it is not so prescriptive and simply requires that all funds are applied wholly or mainly to charitable, benevolent, philanthropic, or cultural purposes within NZ. Data for this paper was extracted from the New Zealand charity register (at www.charities.govt.nz) and the IRD Donee List on 19 November 2015. I worked for the New Zealand Charities Commission and the Australian Charities and Not-for-profits Commission from 2011 to August 2015. The above analysis does not take into account any protected information obtained during my time at the charity regulators. Any errors and opinions are mine and opinions do not represent the views of my previous employers.